Charles & Ray Eames had a huge influence on the 20th century with their creations and their conception of design. Among their numerous inventions, they created a game, House of Cards; today, Mon petit Art is the official distributor of their game in Europe! The famous couple was well known for their furniture, but they also also had a real interest in game and playing. In 1952, Charles& Ray Eames create their most emblematic game: House of Cards. This game invites kids and grown-ups to build playful and surprising structures, in the spirit of their creators. The Game is composed of several cards; each one is printed with a different picture. To choose those images, Charles & Ray Eames found inspiration in their trips and the beautiful details of everyday life, observing the nostalgic objects houses interiors. Coloured pencils, porcelain, matchsticks, wall papers… All those elements are printed on rectangular cards. Each of those cards has 6 notches, so that you can put them together in very impressive sculptures. Imaginary castle? Geometric Tower? Labyrinthine tunnels? The possibilities to create are infinite! The combination of images in perspective gives a very spectacular result. House of Cards is available in 3 sizes: Little, Medium and Giant. The littler has flexible cards, similar to real playing cards, whereas the biggest has 29 x 19 cm cards, to build huge sculptures! Each dimension allows you to build structure on a different scale. ¿Which one will you pick? To understand better how was created the game of Charles & Ray Eames, let’s talk a little bit about their history. Where are they from? Charles Eames was born in 1907 in Saint Louis, Missouri. He studied architecture and funded his own firm, where he worked before moving to Michigan. There, he worked as a professor, and became the director of the department of industrial design in Cranbrook Art Academy. Ray Eames (born Bernice Alexandra Keiser) was born in 1912 in Sacramento, California. She studied painting in New York and participated to the first abstract artists exhibition in the River Side Museum before entering the Cranbrook Art Academy. That’s where Charles & Ray Eames met. They got married in 1941, becoming the most talented couple of designers of the 20th century. Charles & Ray Eames have a very universal understanding of their field. They expressed themselves in many ways; furniture, cinema, textile, museum exposition, architecture and… games! Their philosophy consists in generating connections between different fields. Architects or designers? 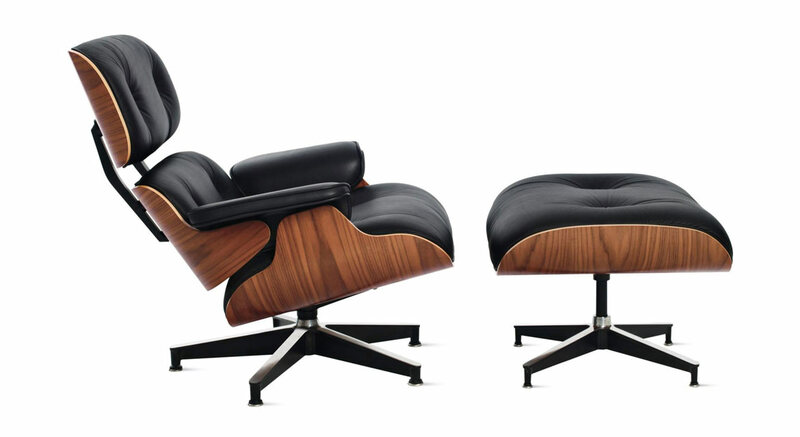 Charles & Ray Eames are everything at the same time! Maybe that’s furniture that people most knows of Charles & Ray Eames work. They indeed design many furniture, such as chairs, like the very famous “Lounge Chair”. Today, in everyday language, “design” is practically a synonym for “beautiful”. This is very far from Charles & Ray Eames philosophy of design! Indeed, according to them, design is, before anything else, ergonomic. How can an object adapt to the human body ? How, finally, an object can better play its part as an object? A design object is, therefore, an object that combines a functional aspect and a pleasant one. 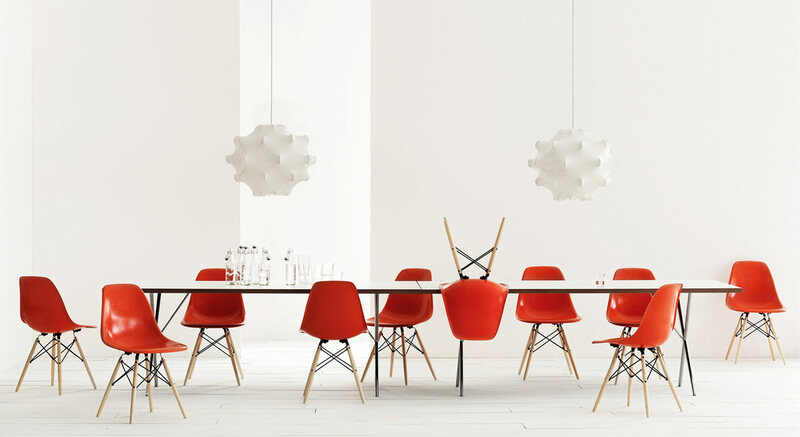 Here are few of the Eames chairs; don’t they look comfortable? All the citations of this article were extracted from the book “100 quotes by Charles Eames”. Indeed, Charles Eames wrote few formal articles and books but he had a great facility to speak, so that many of his impacting quotes remained well known today.